Many peoples are asking details about the Septic Tank and Soakaway pits. So here are the Typical Details of Septic Tank and Soakaway form the dwgnet.com. There are all details about the Septic Tank, Plan, Cros Section, Foundation, levels, manhole covers etc, So We hope this Septic Tank details also will be useful for you. Thank you for visiting the DWG net .com website. We provide these auto cad blocks or cad drawings for use by anybody. You can download these ‘DWG Blocks’ and ‘Small House Plans’ for free without getting registered on our website. So we endeavor to draw new and clean blocks and beautiful house plans for you every day. Therefore we always appreciate your views and suggestions for developing this website. So you can leave a massage or contact us. 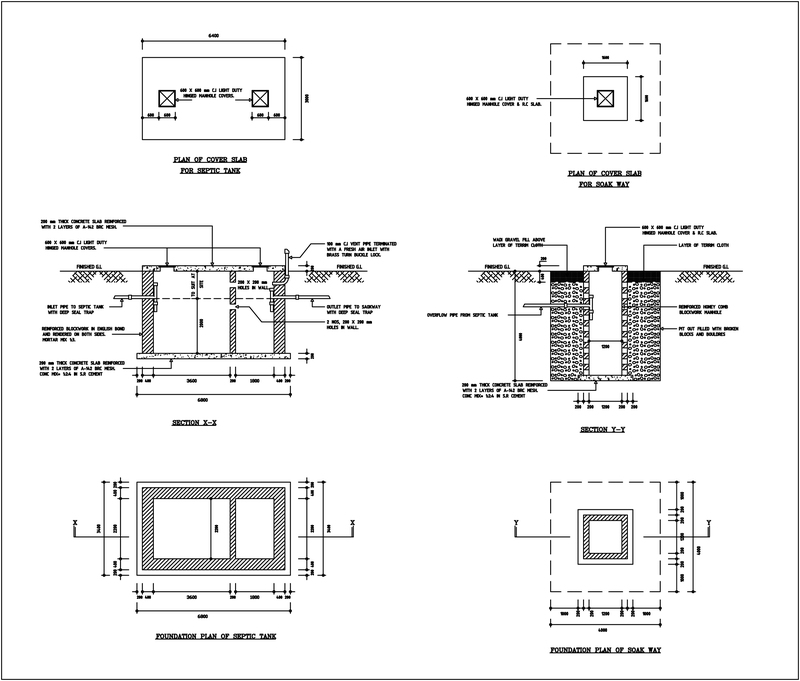 We hope this Auto CAD Block will also be useful for you. You can use this CAD File, CAD Symbol, CAD Drawing or CAD Block for Front Elevations, Side Elevations, Rare Elevation or Section of your house plan. These Auto CAD files can be used in a wide range of versions (from the 2004 version to latest versions). If you want to convert these Blocks or Plans, please leave a comment on our page. We are hoping to fulfill all your requirements. Anyway, you don’t have any permission to sell or shire of our content on to the third party.